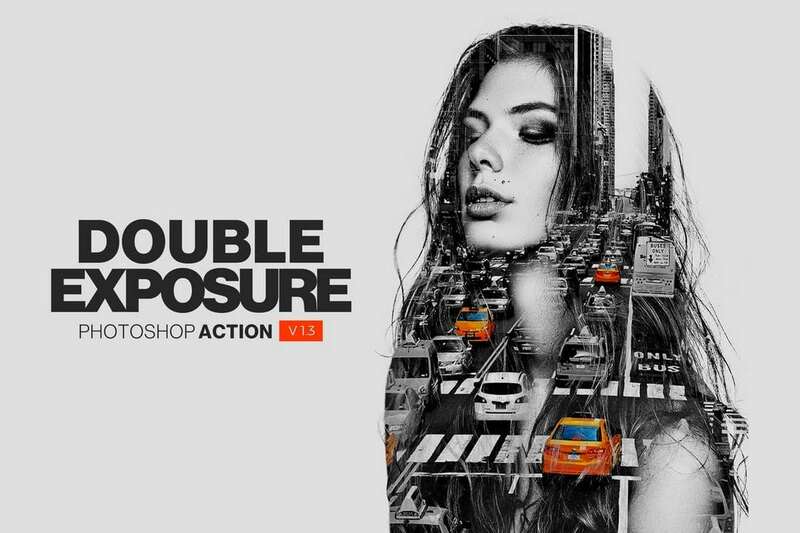 This premium Photoshop action will turn any outdoor landscape photo into a beautiful work of art. 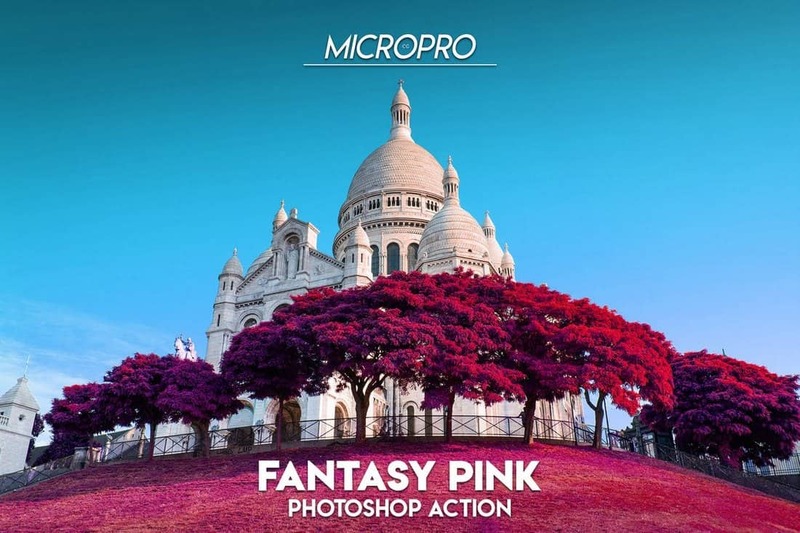 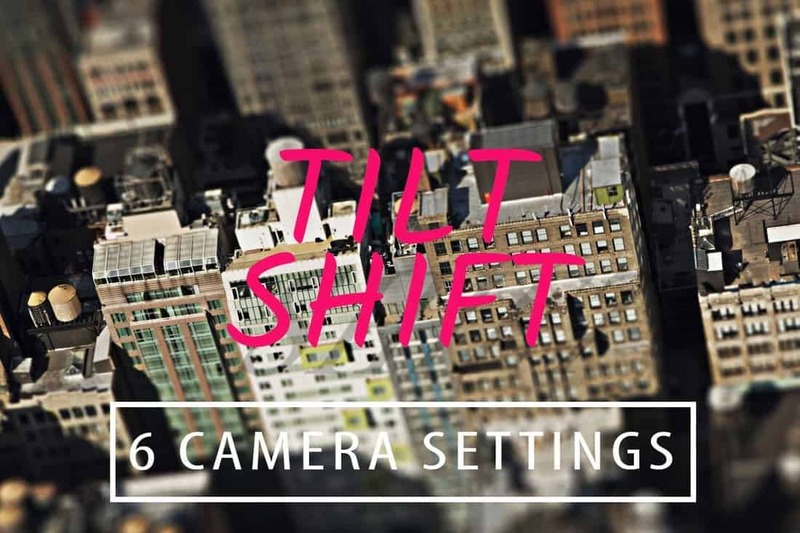 The action creates a beautiful pink bloom effect that improves your photos. 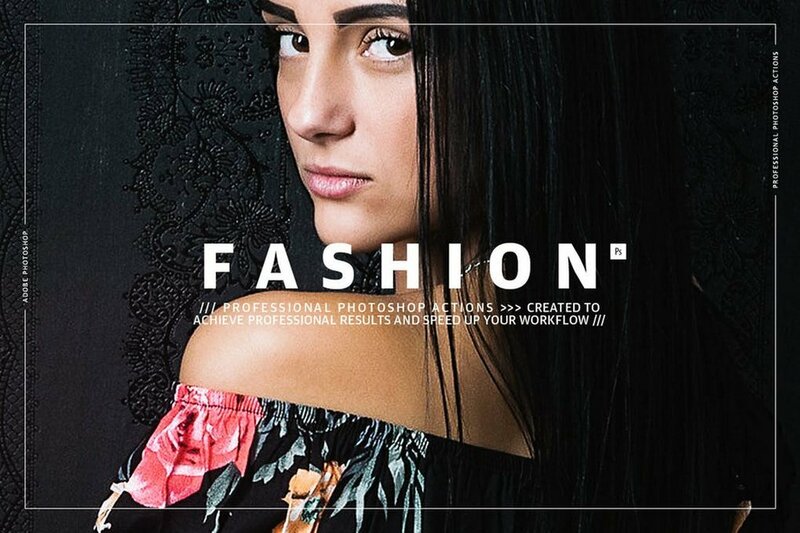 It’s ideal for improving wedding, newborn, and fashion photography as well. 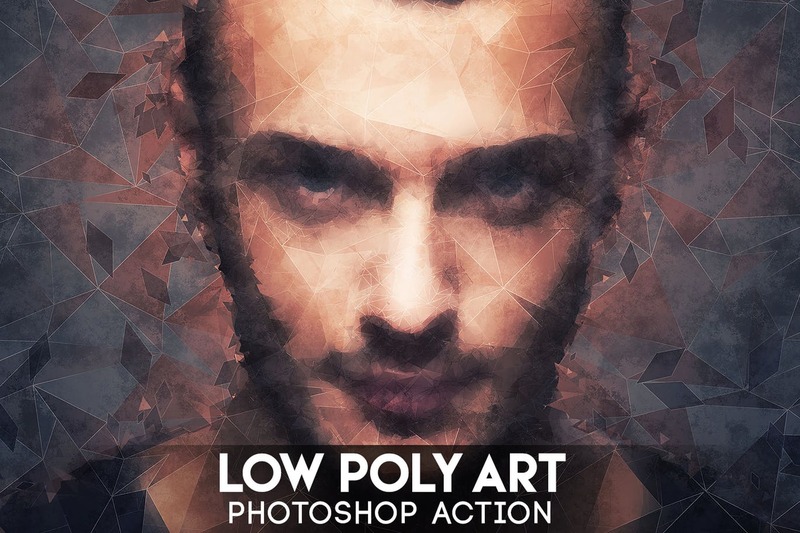 This is a creative Photoshop action that generates a unique hologram-like effect for portrait photos. 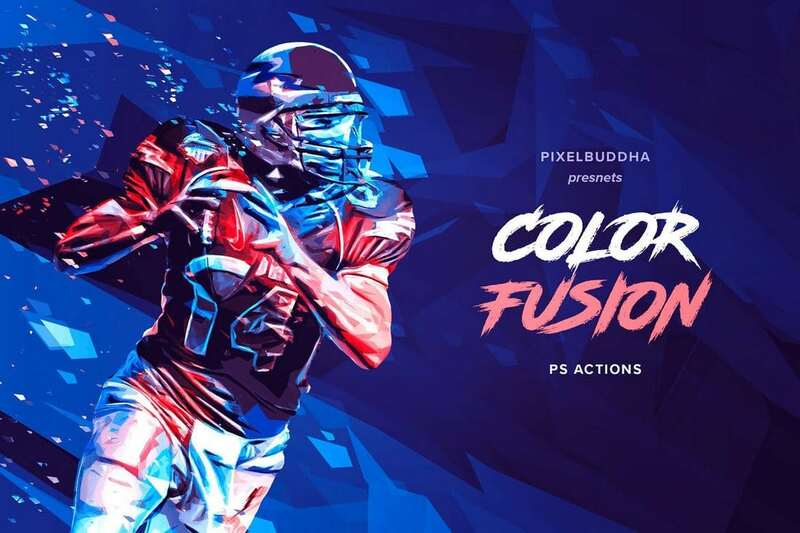 The action is quite easy to use and comes in 6 different color variations. 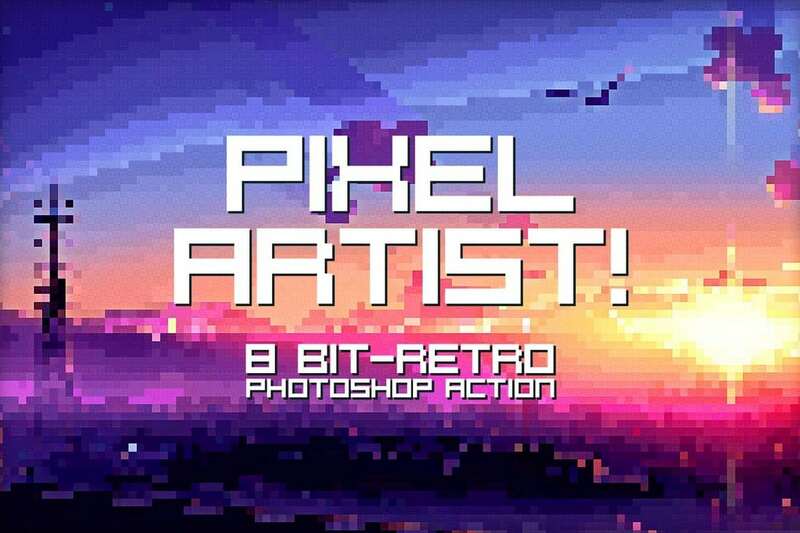 It’s great for making posters, covers, and unique background effects as well. 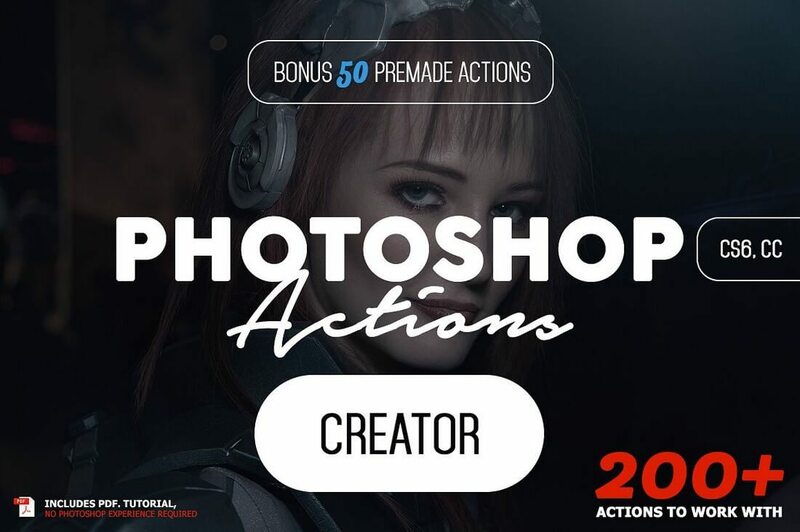 A unique Photoshop visual effects action that will completely transform your portrait photos. 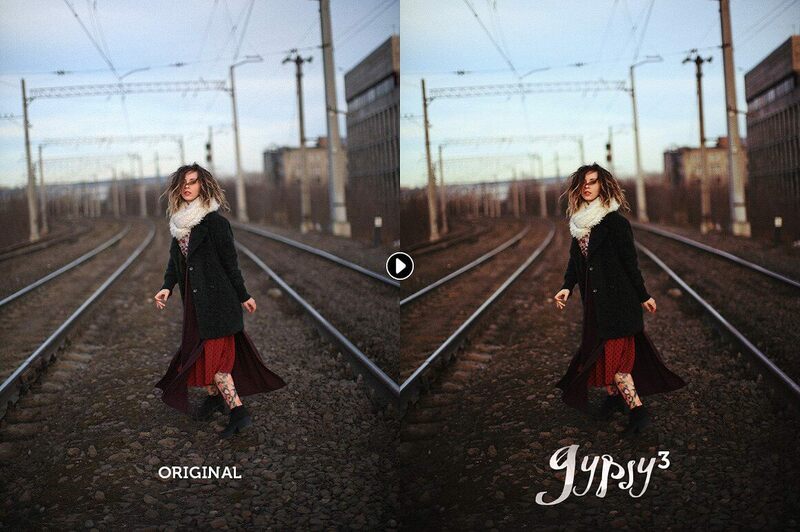 This effect creates a stylish ribbon-like visual effect that gives an eerie look to your photos. 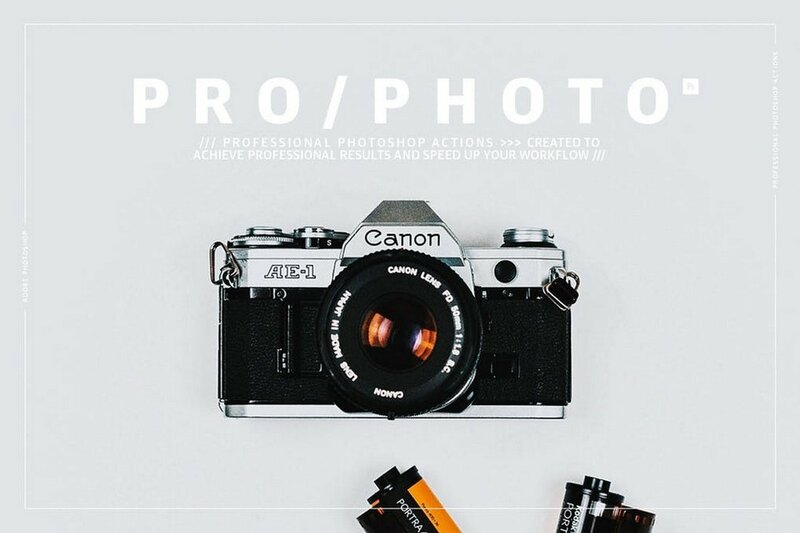 It will come in handy when designing movie posters, banners, or even unique branding designs. 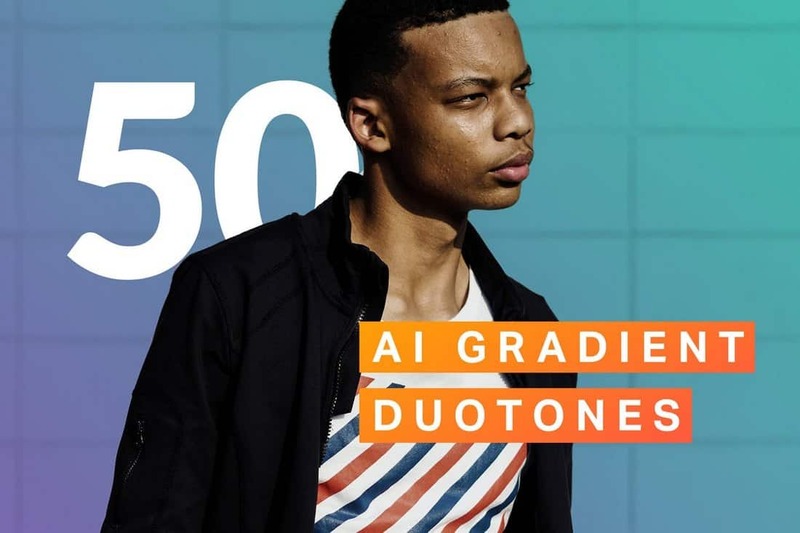 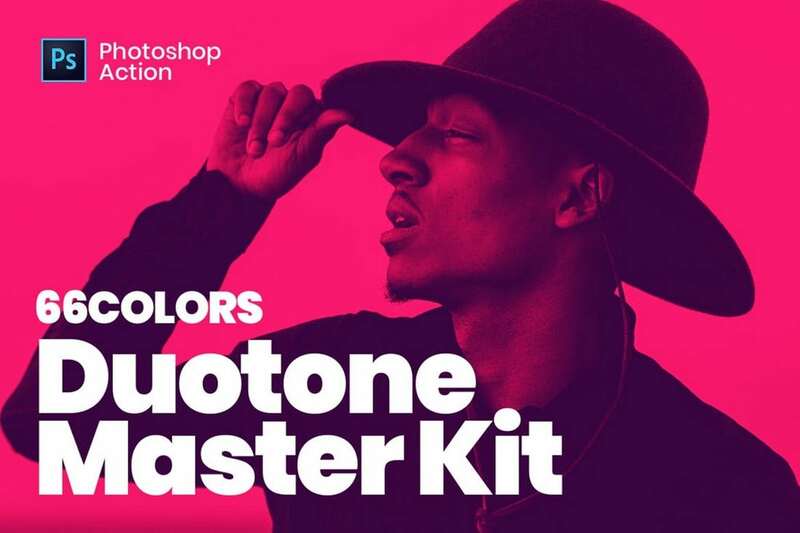 With more than 50 different gradient duotone effects to choose from, this bundle of Photoshop actions will give you enough options for creating modern and creative gradient effects, backgrounds, and more. 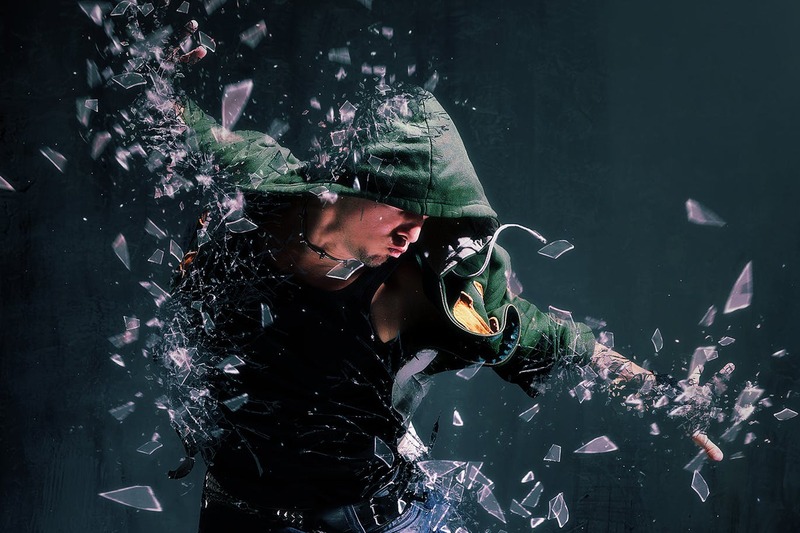 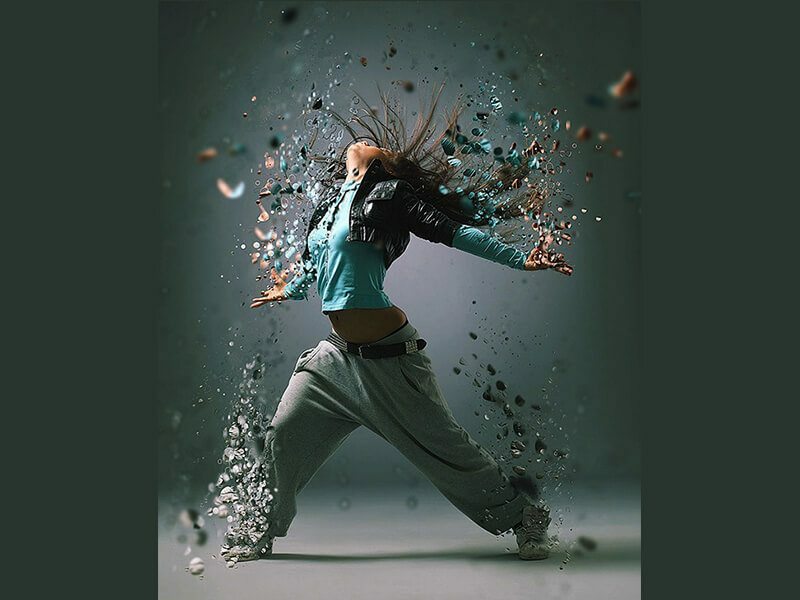 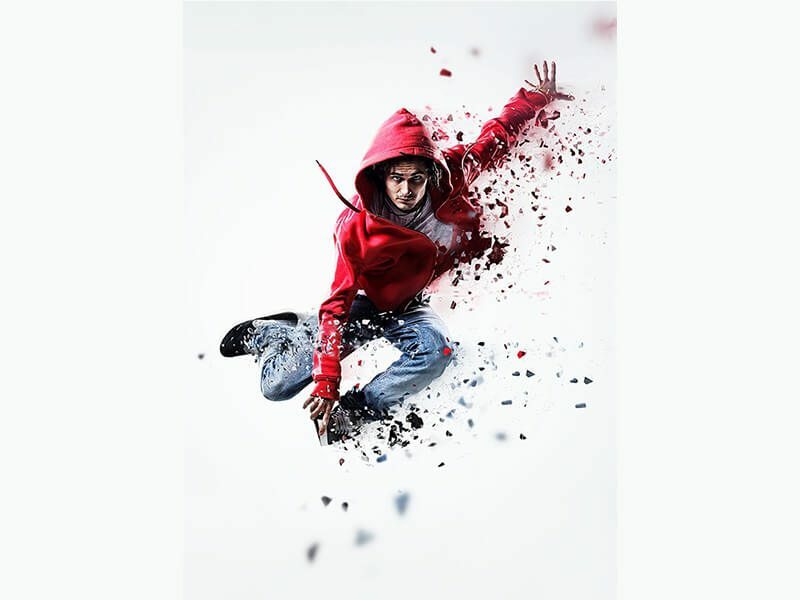 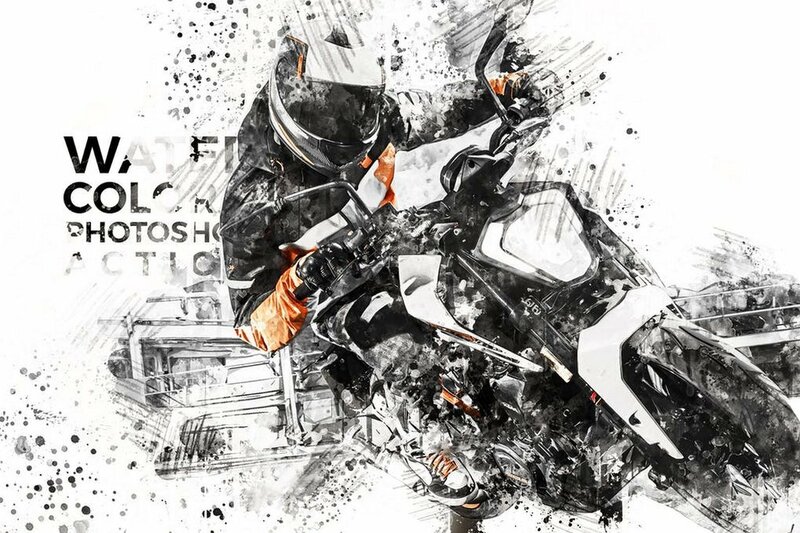 Add a cool speeding effect to your static images using this creative Photoshop action. 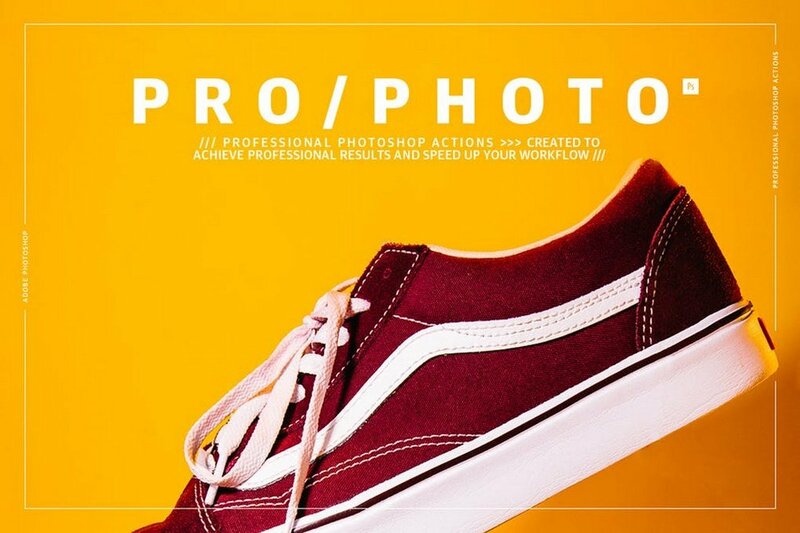 It’s perfect for making even the most boring photos come alive. 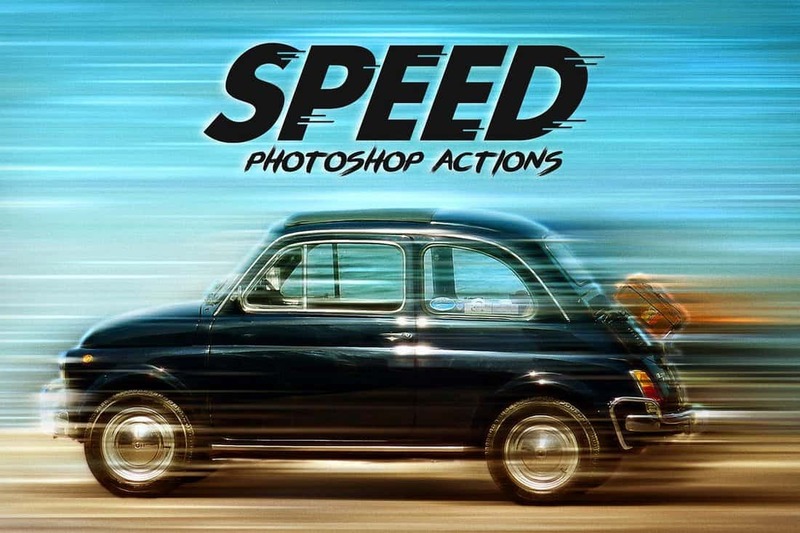 The action features the speeding effect in 4 directions. 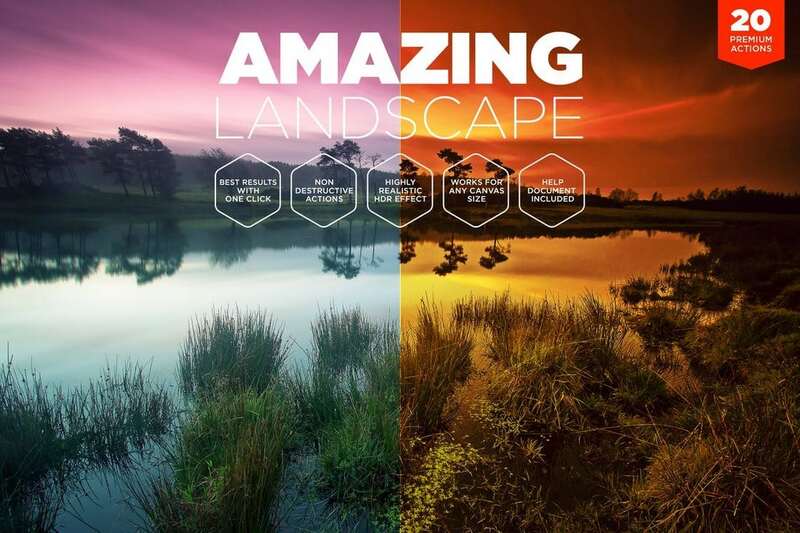 Using the depth of field effect to create a miniature look is a popular technique used by landscape photographers. 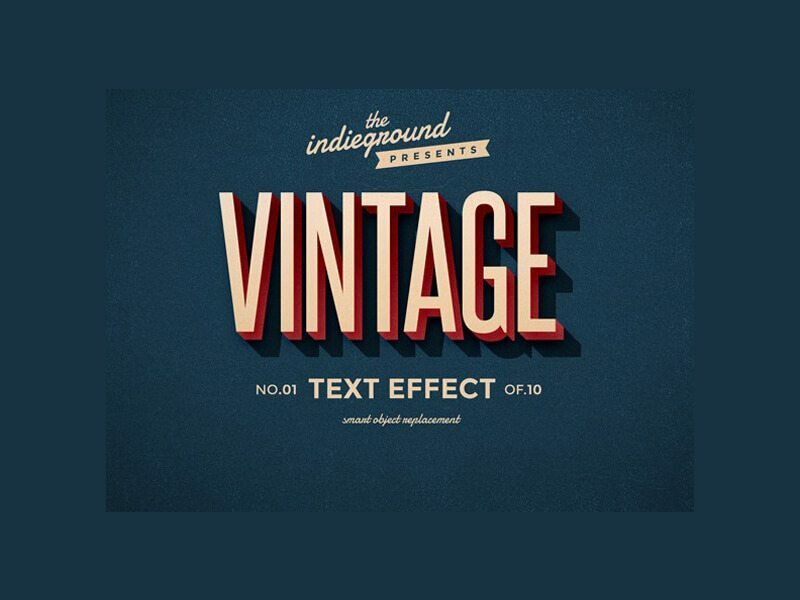 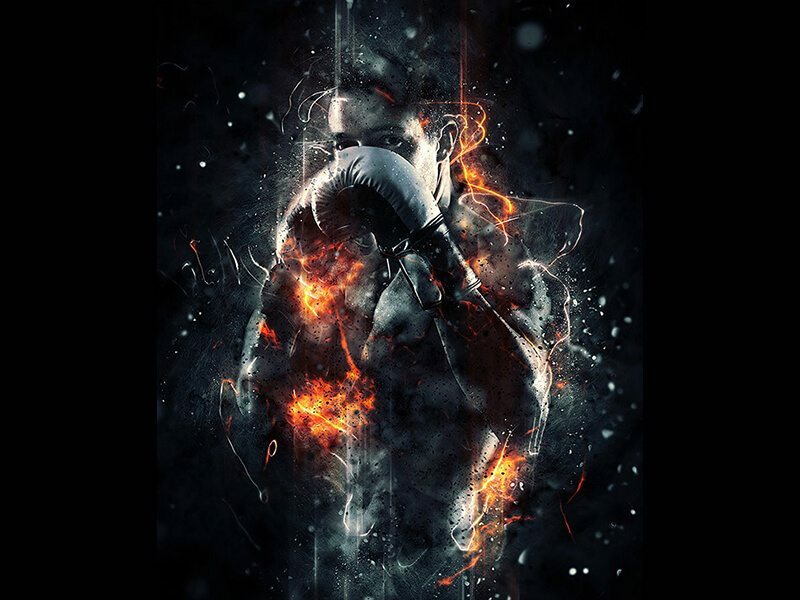 This Photoshop action allows you to create that same effect with just a few clicks. 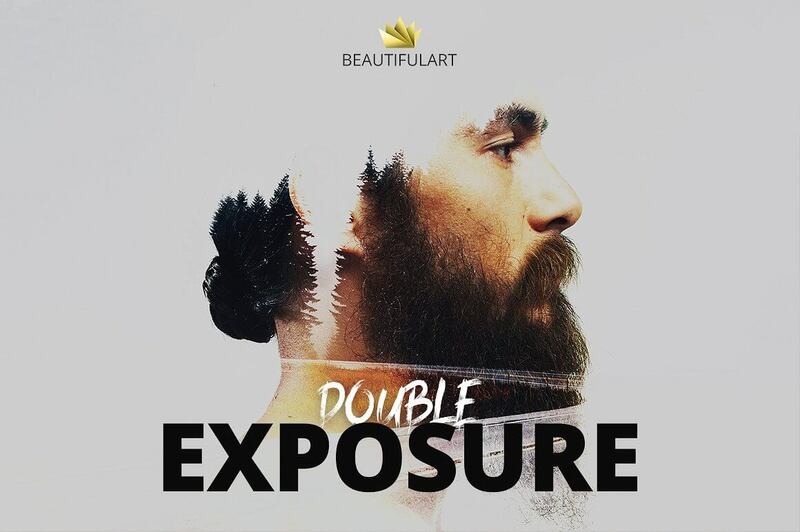 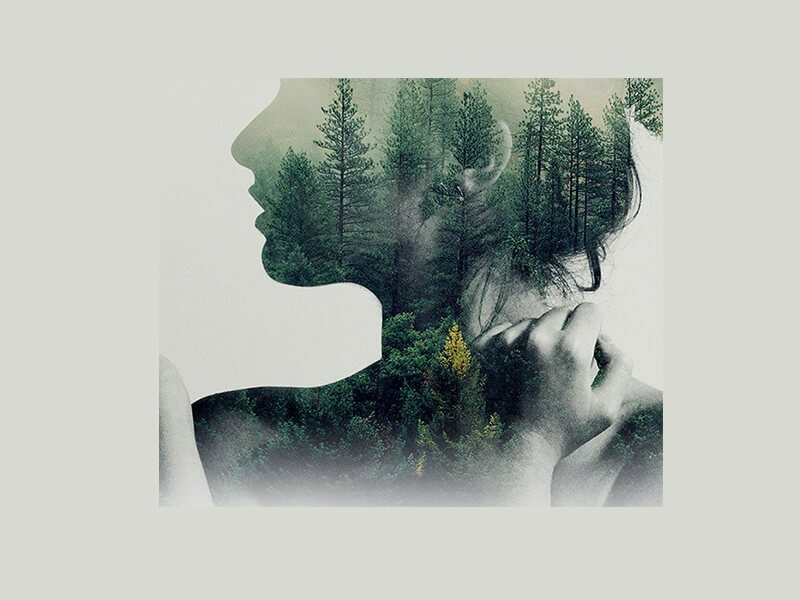 Create a unique and artistic double color exposure effect with this creative Photoshop action. 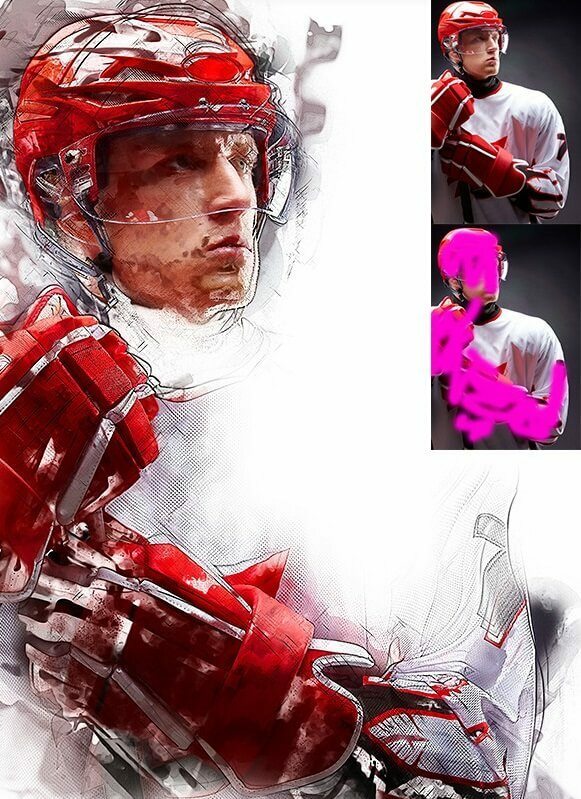 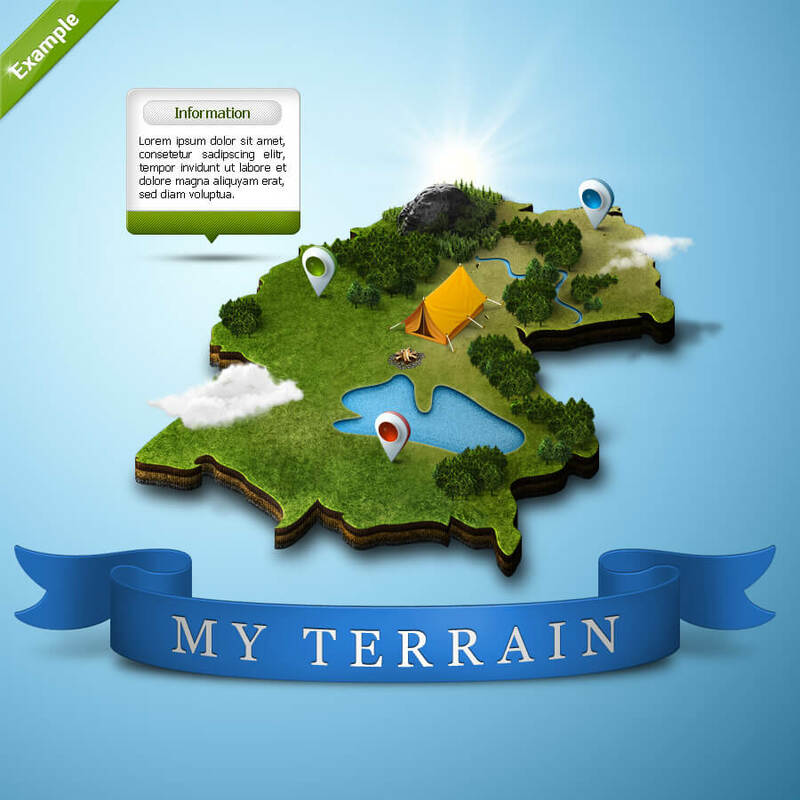 It includes 7 different color combinations and it works with graphics, text, and photos as well. 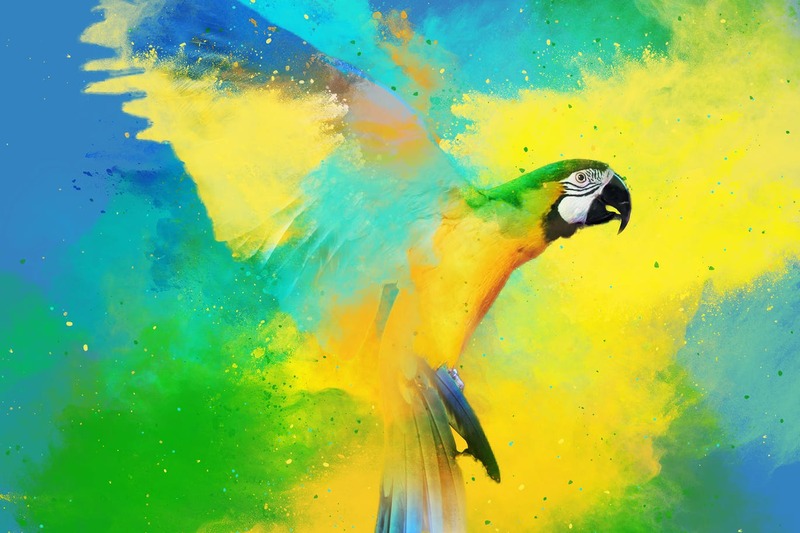 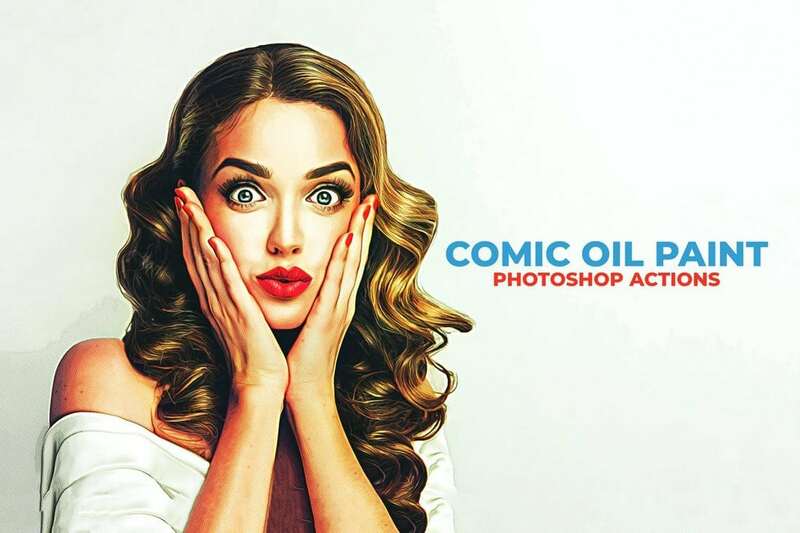 Turn your ordinary photos into oil paintings with this Photoshop action. 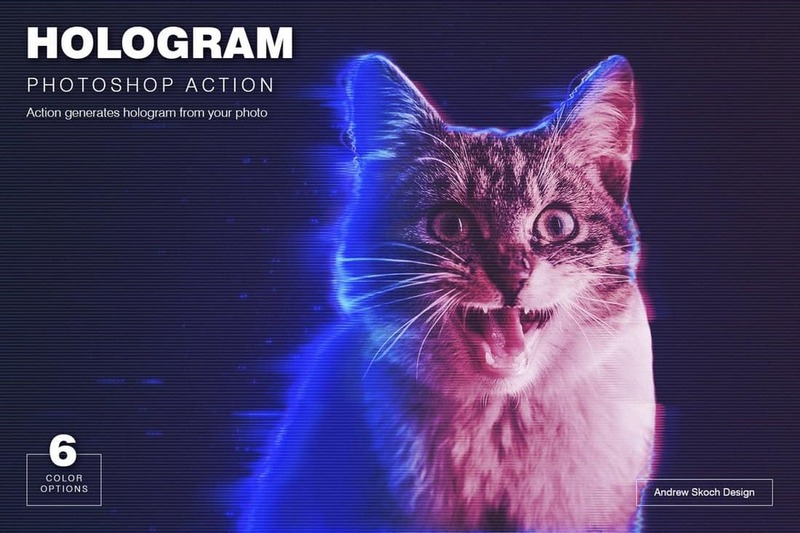 It works best with portrait photos. 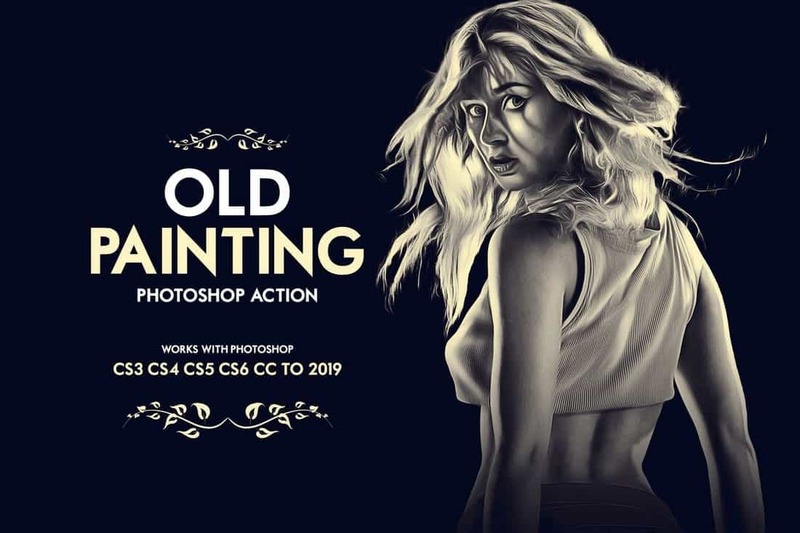 You can use this action with Photoshop CS 3 and higher. 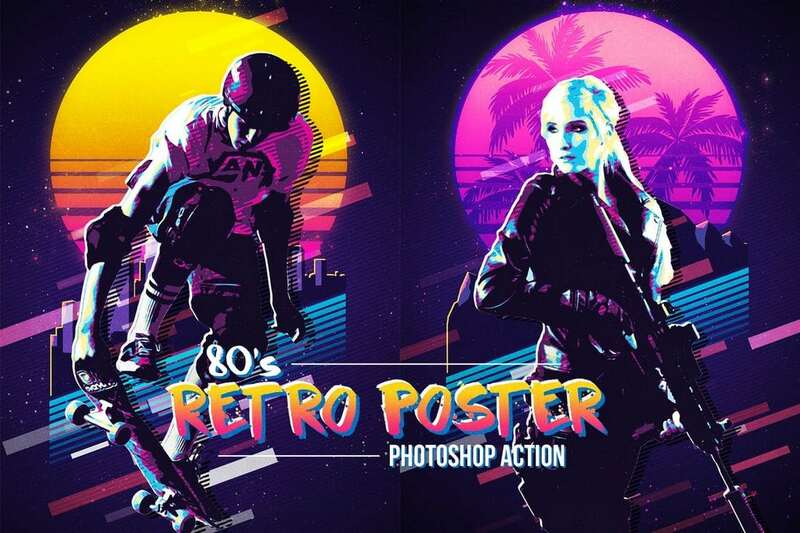 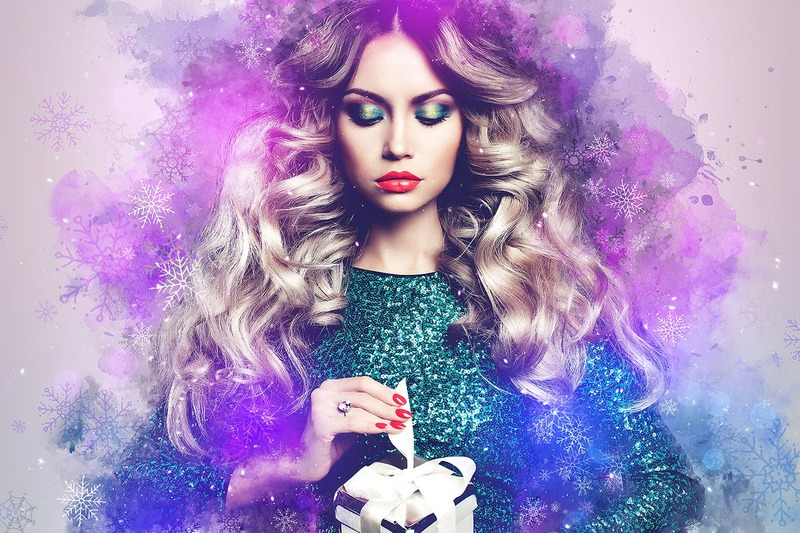 With this creative Photoshop action, you can instantly give a retro 80’s look to your graphic designs. 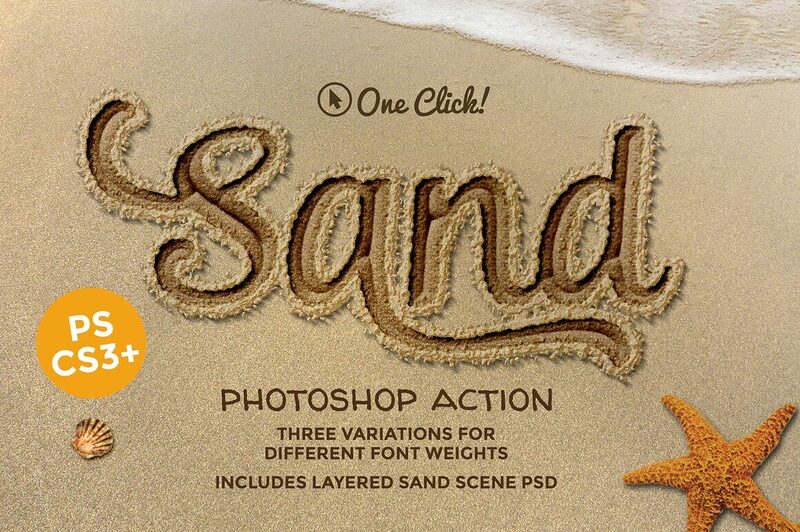 The action is easily customizable and comes with supporting brushes and textures as well. 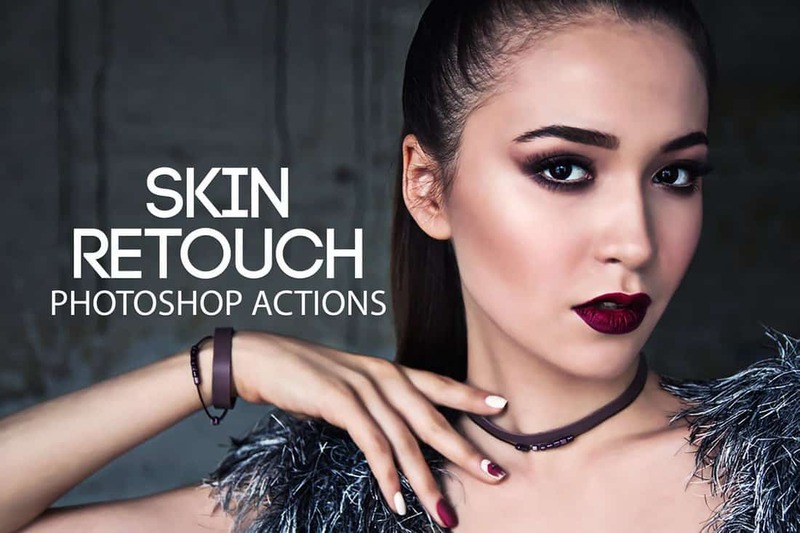 Optimize your portrait and outdoor photos with just a few clicks using this bundle of skin retouching Photoshop actions kit. 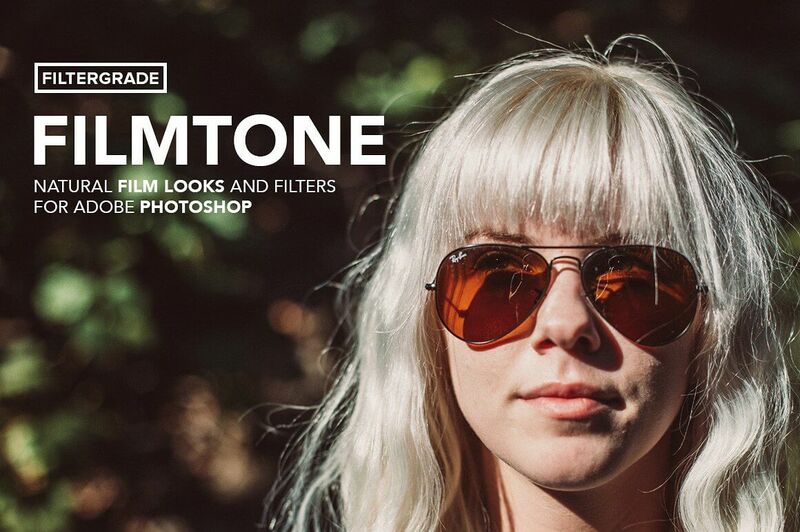 This kit includes all the effects and optimizations you’ll need to properly enhance your photos using actions. 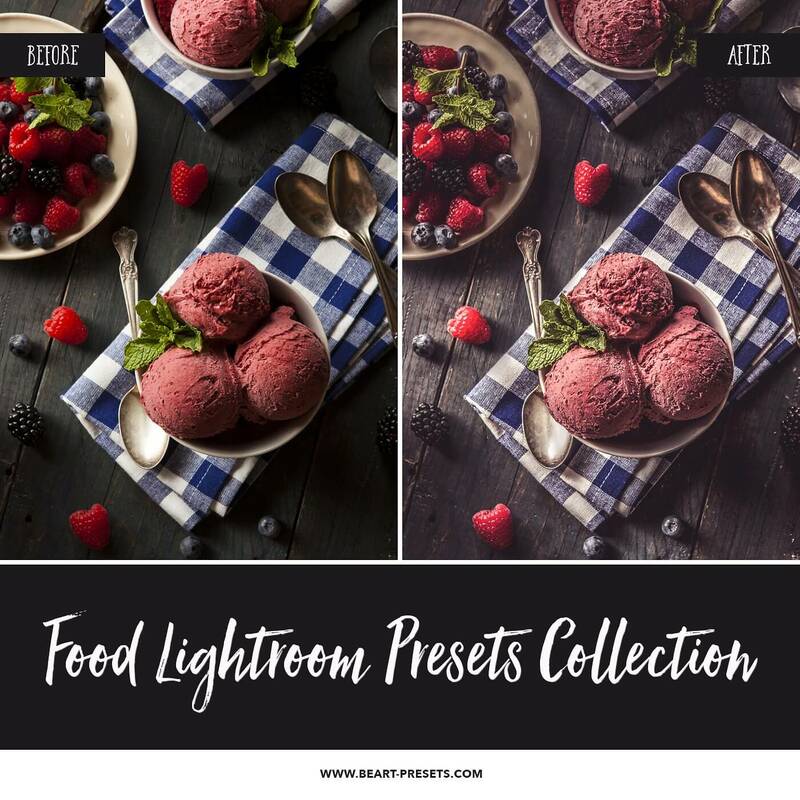 This pack includes 30 unique Photoshop actions you can use to enhance and improve product photography and food photos. 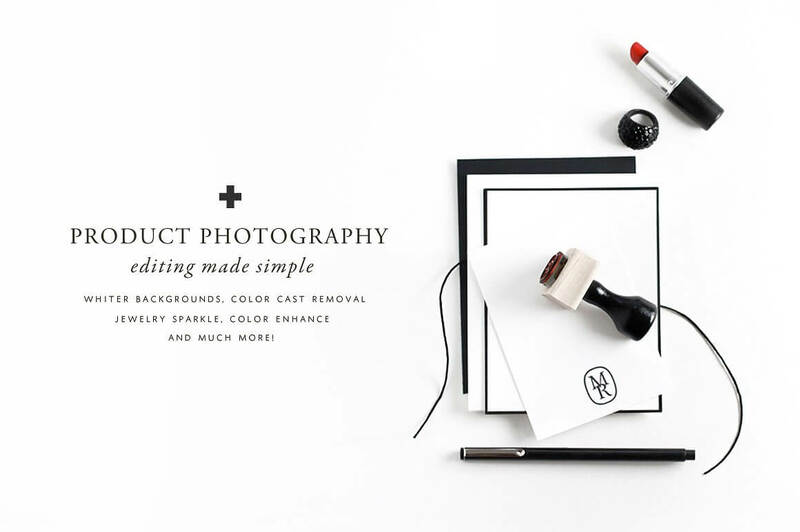 These actions will be useful when creating eCommerce websites and designs related to restaurants. 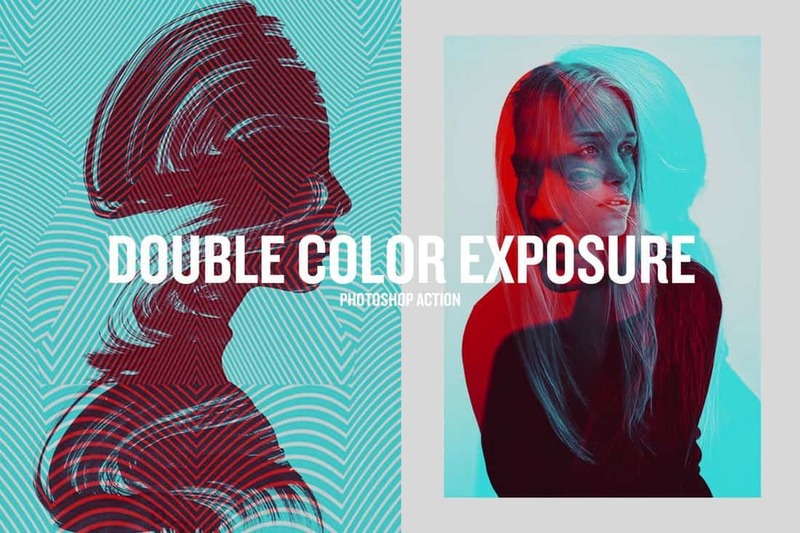 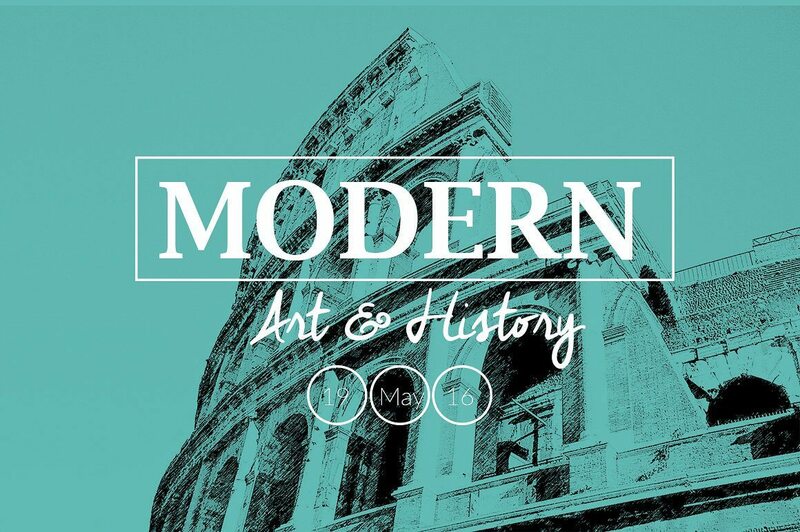 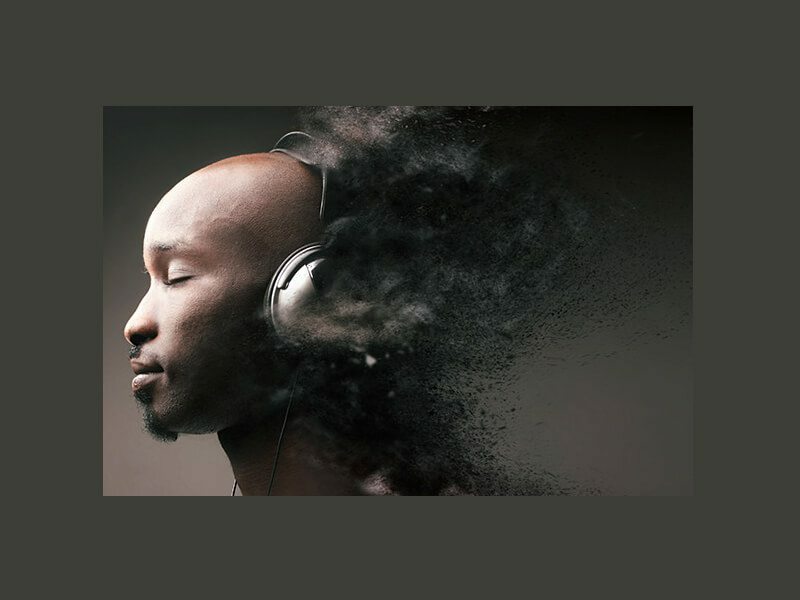 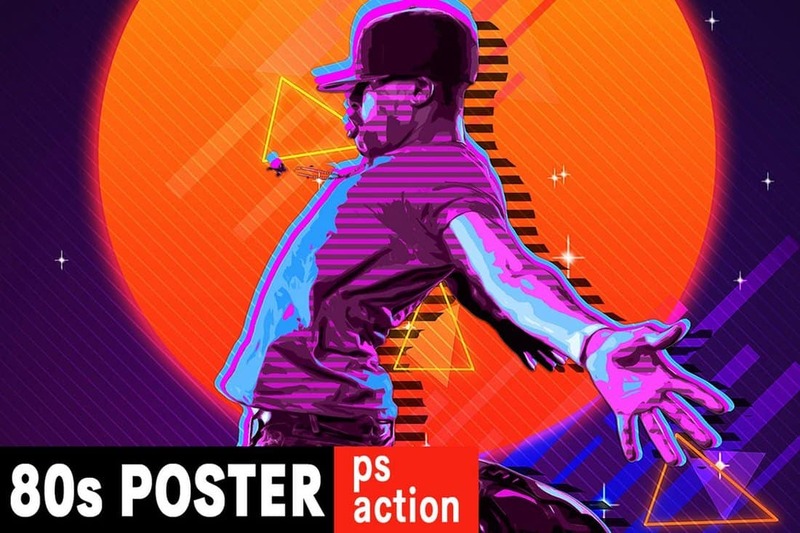 The duotone effect is quite popular in poster and banner design. 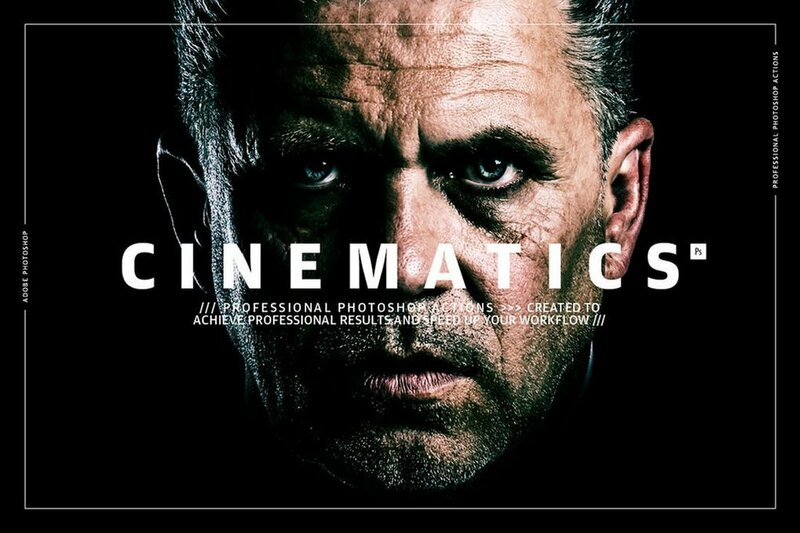 It’s also a great effect for creating unique portraits as well. 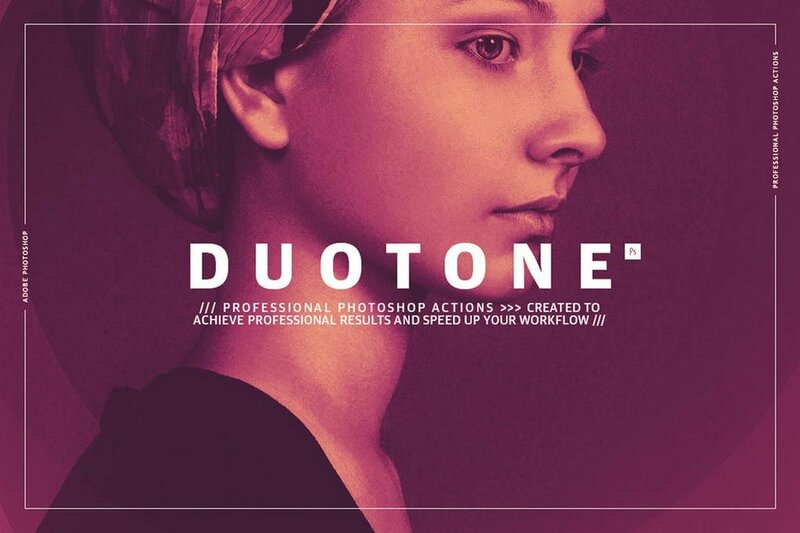 This bundle comes with 45 duotone Photoshop actions you can use to instantly create duotone effects by yourself. 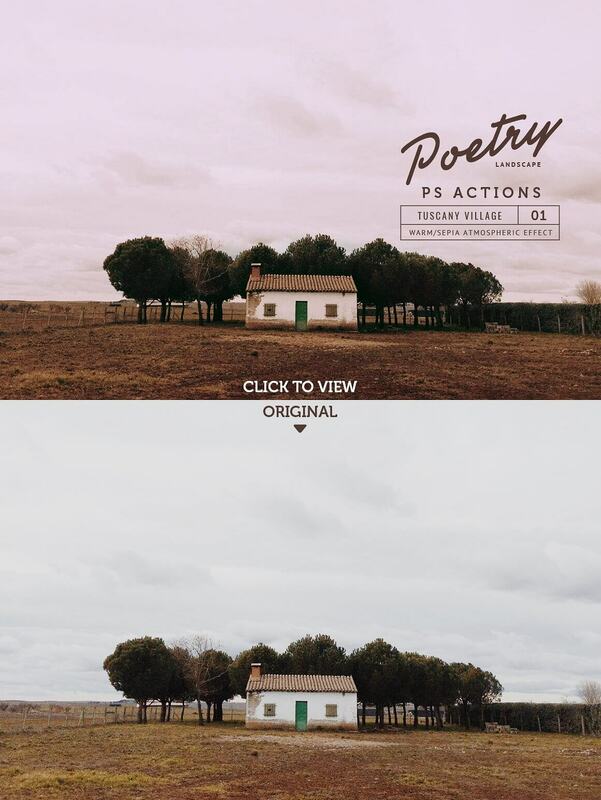 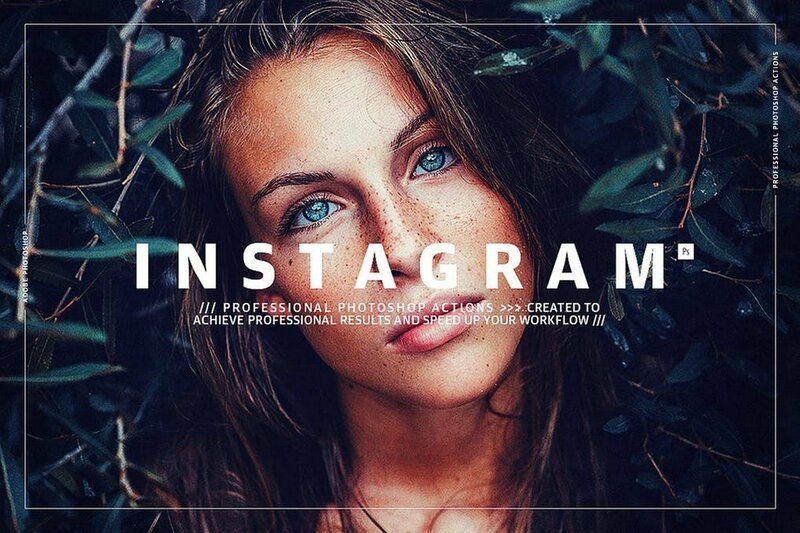 Inspired by Instagram filters, this set of Photoshop actions feature 50 different effects for not only adding colorful effects to your photos but also for optimizing them without much effort. 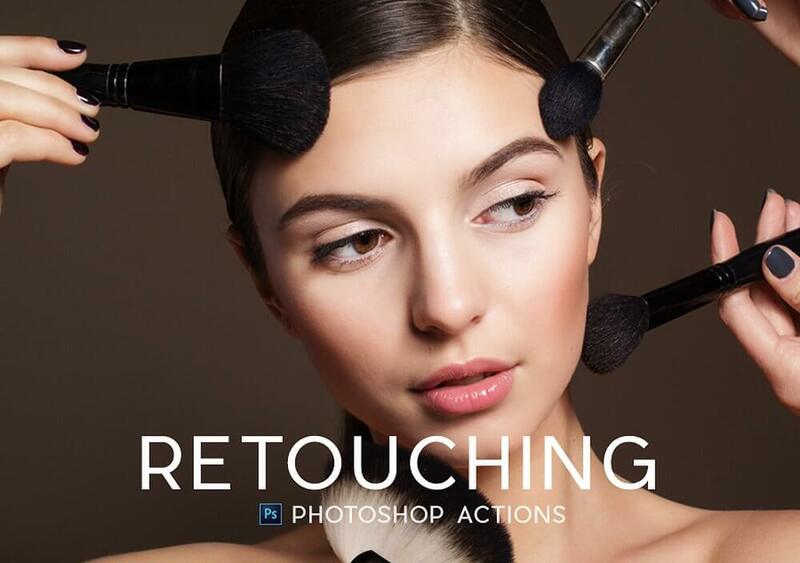 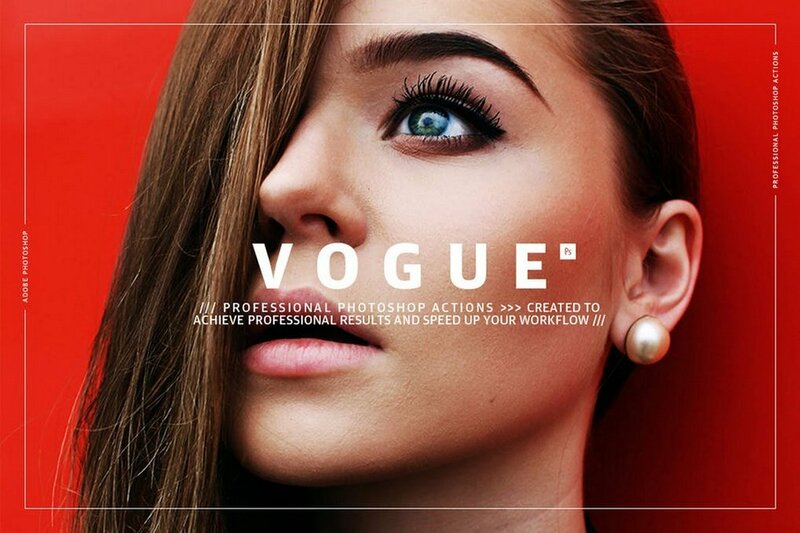 Another collection of Photoshop actions specially optimized for improving fashion photography. 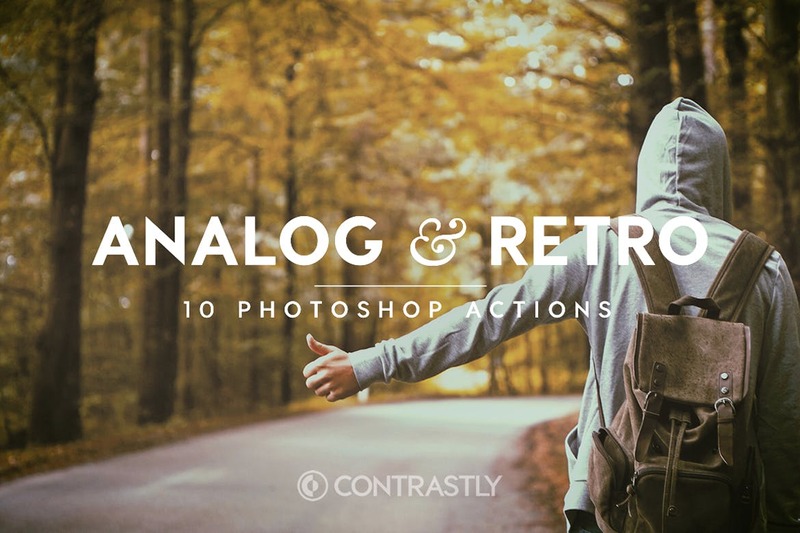 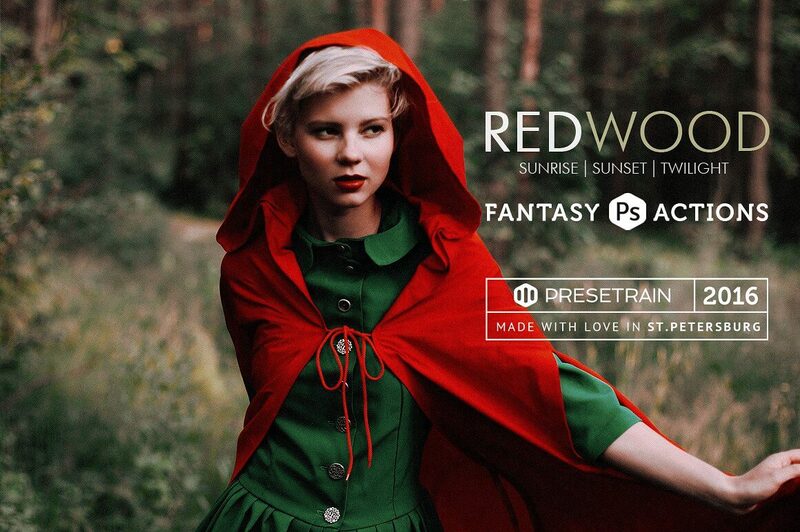 This pack includes 30 different actions that work with RAW and JPEG formats. 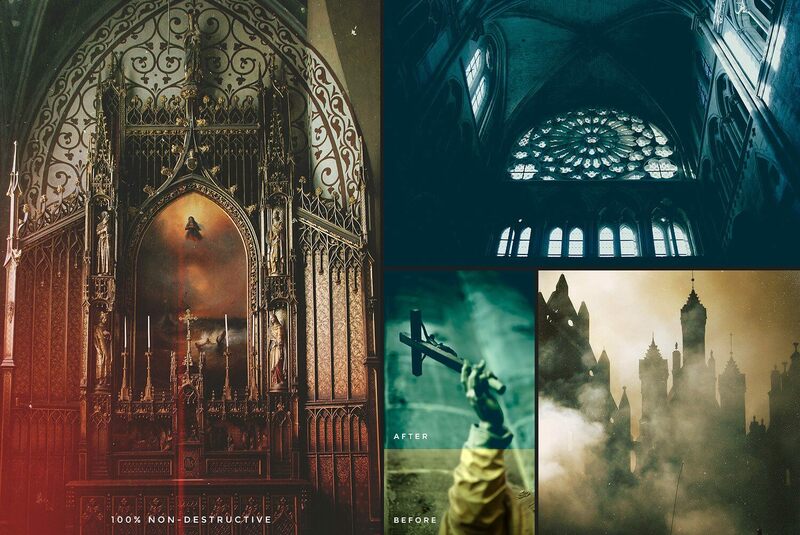 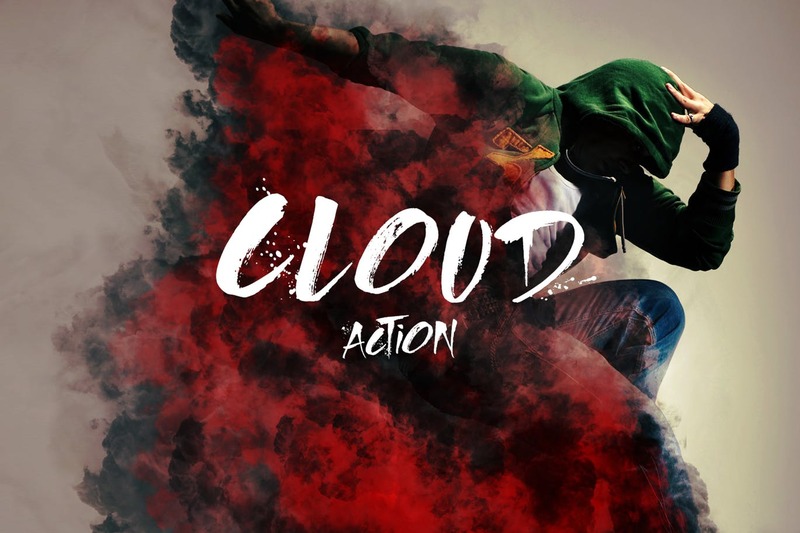 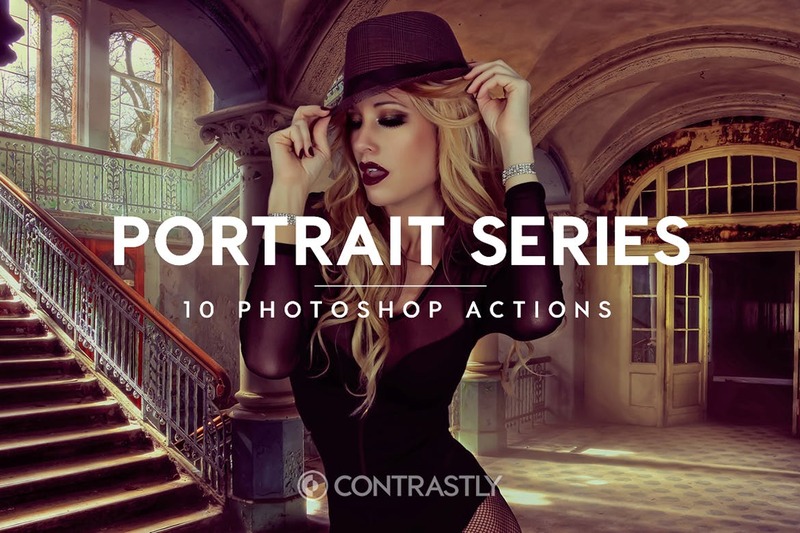 With this collection of Photoshop actions, you’ll be able to create attractive cinematic effects to completely transform your photos and give them a more professional look. 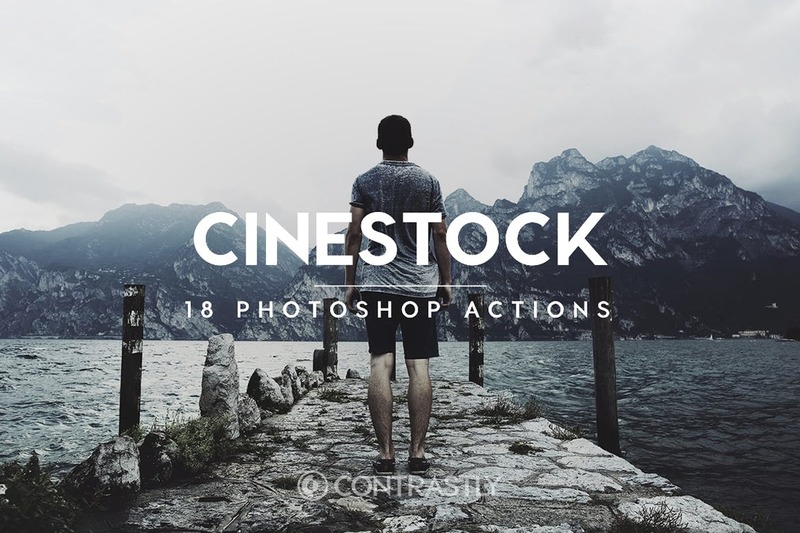 It includes 27 different actions. 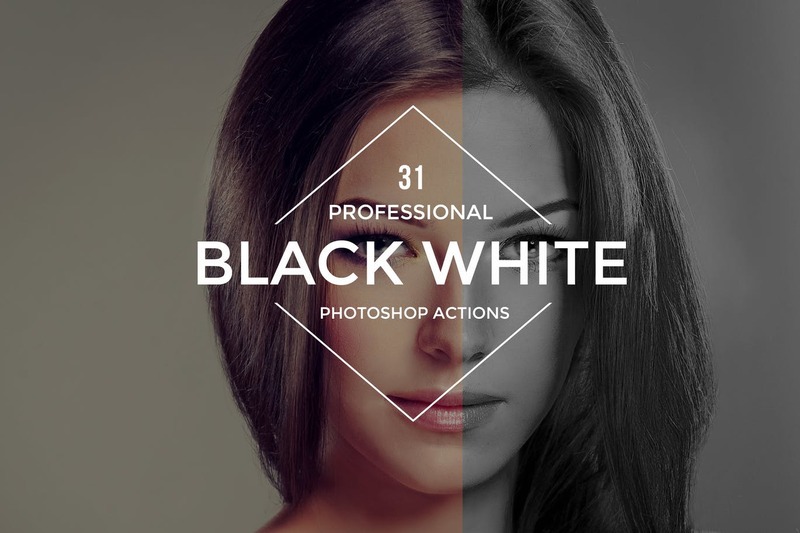 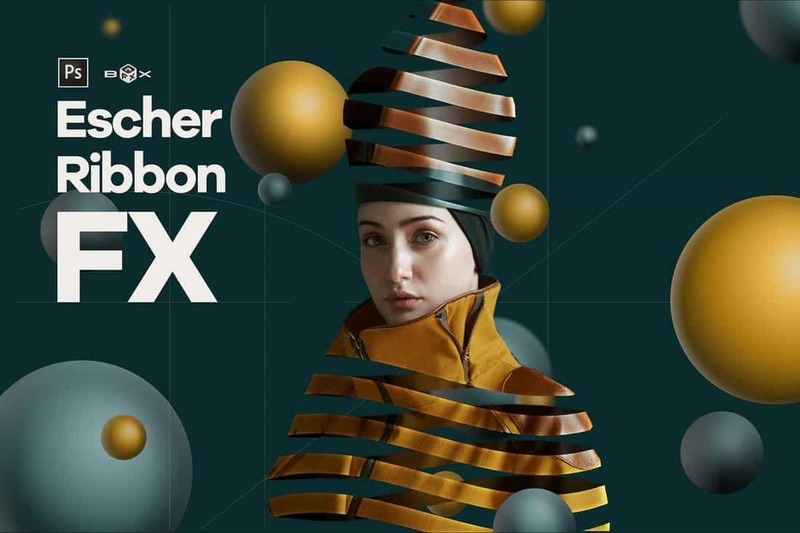 A set of high-quality Photoshop actions specially designed for improving and enhancing photos taken with high-end cameras. 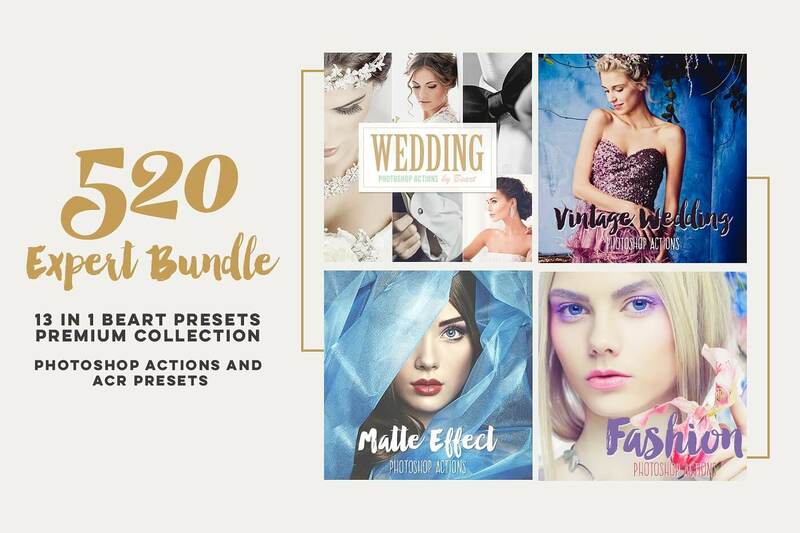 The bundle includes 19 different effects. 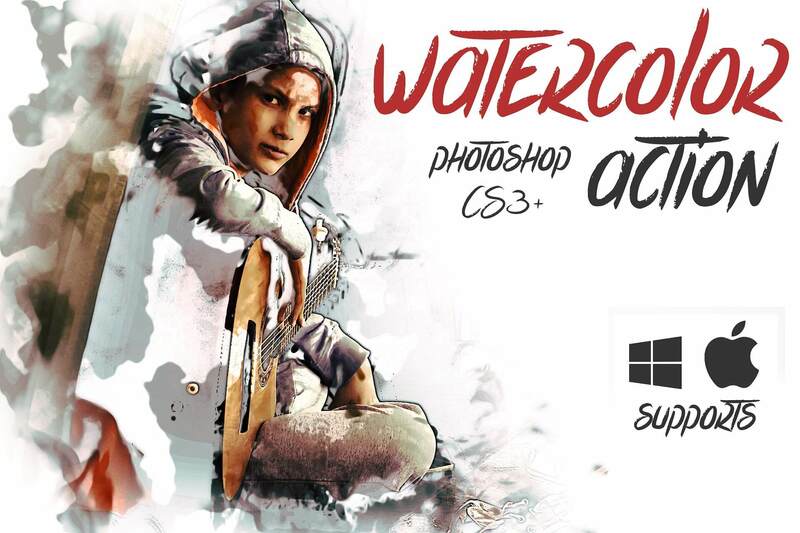 This Photoshop action allows you to create an authentic watercolor effect that will make your photos look like watercolor paintings. 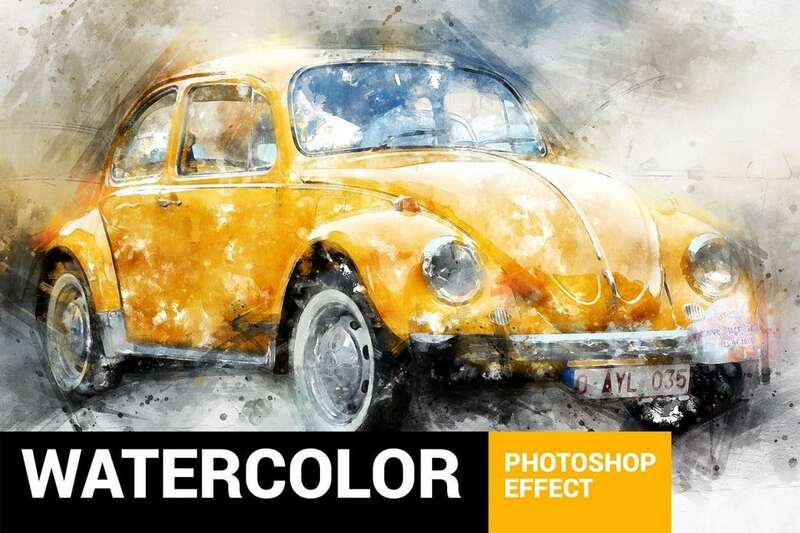 The effect is easily customizable with adjustment layers and the action works with Photoshop CS4 and higher. 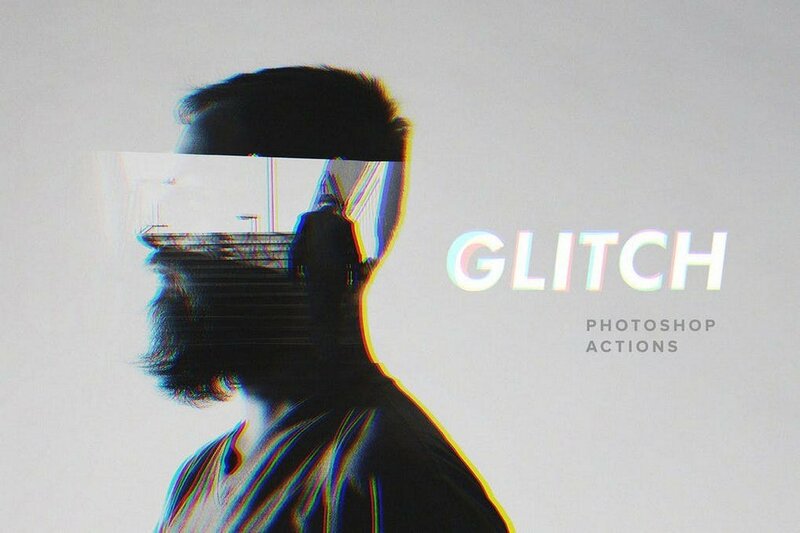 The glitch effect is most commonly used in movie posters and book covers. 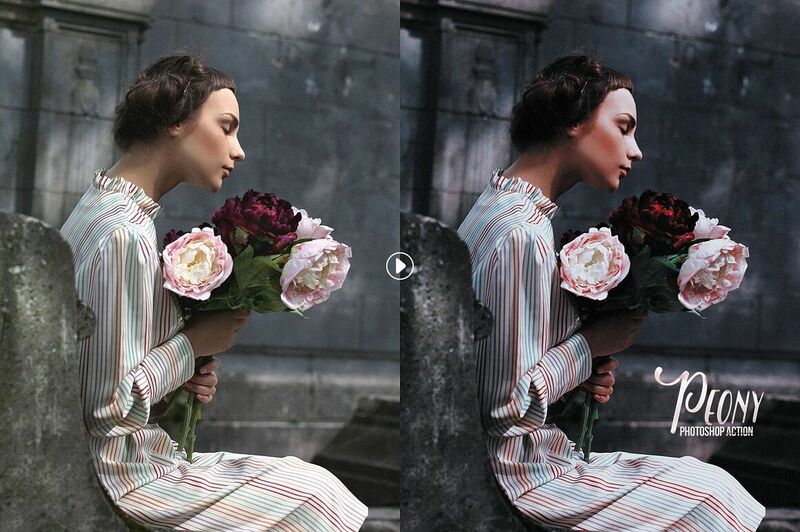 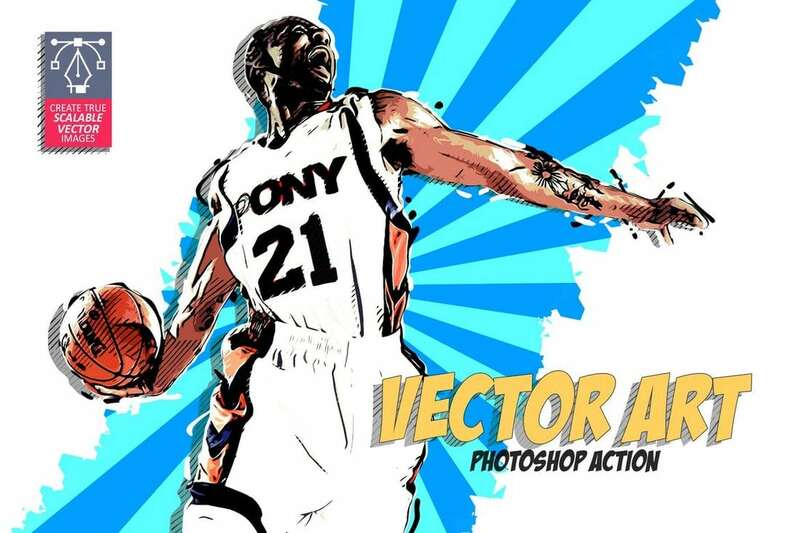 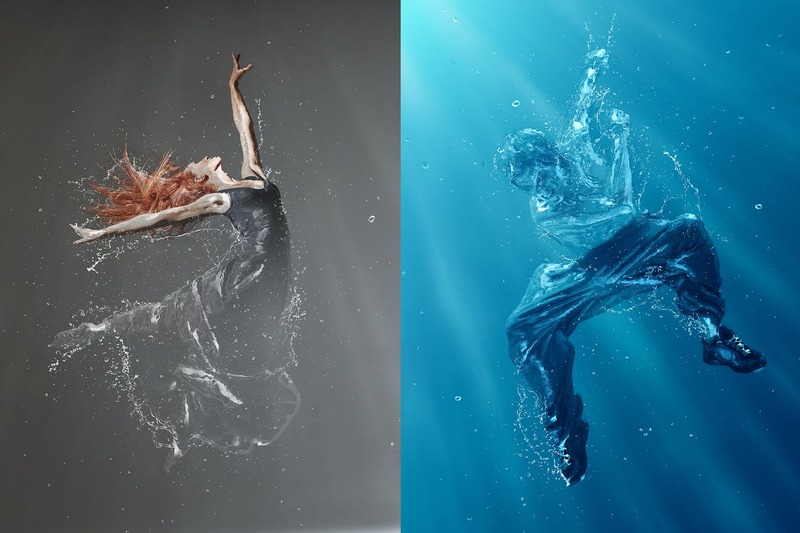 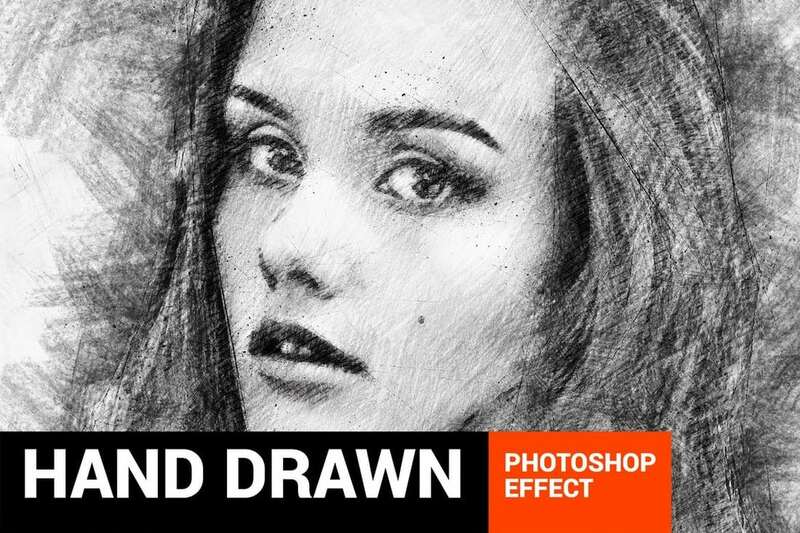 This Photoshop action lets you create that same effect using your own photos almost instantly. 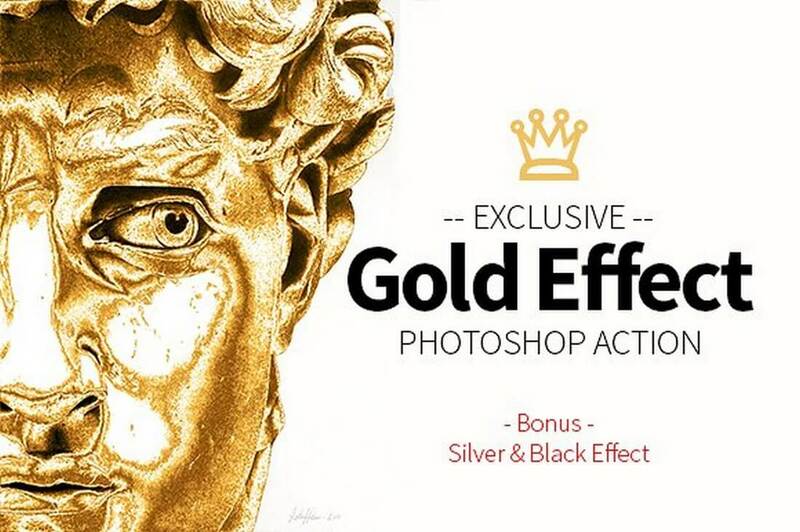 It comes with 14 different effects. 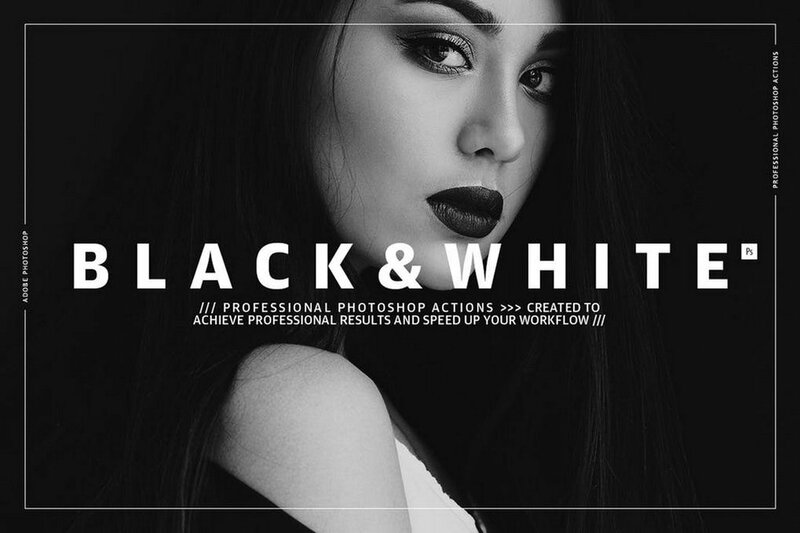 Create more natural and attractive black and white effects with just one-click using this bundle of Photoshop actions. 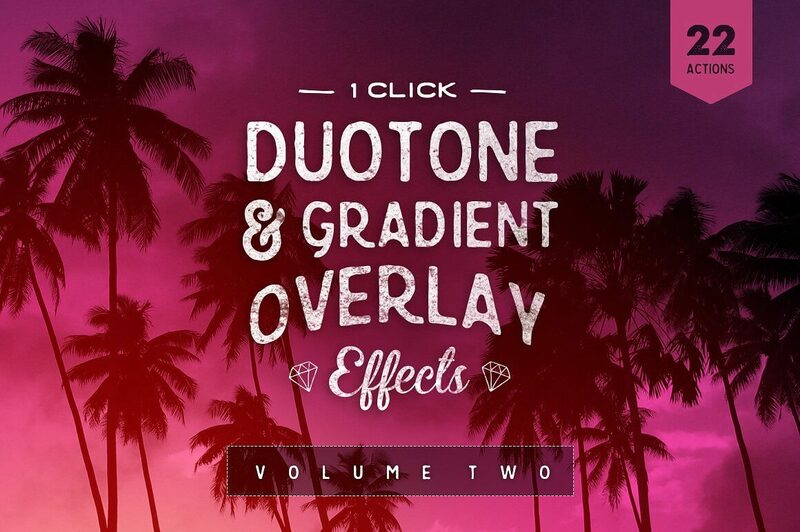 It includes 45 different black and white effects for creating designs for various projects.